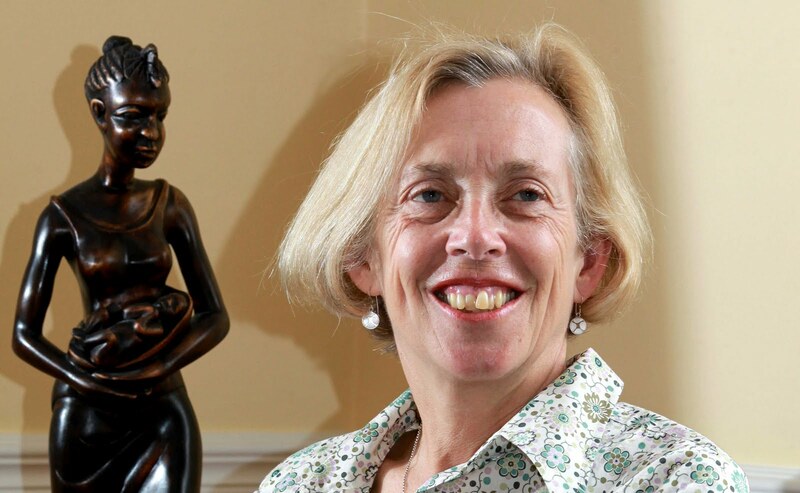 In a gesture worthy of Marie Antoinette, the head of the Royal College of Midwives, Cathy Warwick, has reviewed the growing problem of women being turned away from hospitals when in labor and demanded greater access to … homebirths. Marie Antoinette, you may remember, when confronted with starving thousands demanding bread famously declared “let them eat cake.” That simple phrase crystallized how entirely out of touch the French queen was with the condition of her people. Similarly, Cathy Warwick, on being confronted by the reality that there are not enough staff and equipment to provide care for women in labor now declares that what midwives women really need is access to a specialized service that is appropriate for only a tiny proportion of the population and represents a dreadfully inefficient use of scarce resources. Almost 750 heavily pregnant women were forced to travel to other units, up to 100 miles away, to give birth last year. Almost half of the women who were sent to other units were in Greater Manchester, where four maternity units are facing cuts, the figures show. The figures have been uncovered by the Conservatives using the Freedom of Information Act. They also show that many maternity units had been forced to close to new patients more than 10 times in 2009. The Royal College of Midwives (RCM) estimates that an extra 5,000 midwives are needed across England to provide just a decent standard of care. Faced with these statistics, that there are not enough midwives to care for multiple women at a time in hospital units, Cathy Warwick thinks that what midwives women really need is greater access to a service that is only appropriate and desired by a tiny fraction of women and which requires not one, but TWO midwives, to attend a single patient, far away from all the other patients who need care. “We want to make sure that all women know that the choice of a home birth is available to them. “We feel that there is a concerted and calculated backlash by sectors of the establishment against homebirth and midwife-led care. “We are not sure what the coalition Government’s position is on home birth – or whether they are honouring their pre-election promises for adequately staffed maternity services for 3,000 more midwives. “To begin providing more home births, there needs to be a seismic shift in the way maternity services are organised. “The NHS is simply not prepared to meet the potential demand for home births because we are still embedded in a medicalised culture. So let me get this straight. There are not enough midwives to provide the most basic level of care for pregnant women in the UK, and Cathy Warwick thinks the response should be to encourage women to demand that two midwives attended each woman at home while many other women have no care at all? The problem is a “medicalised culture”? Evidently not since many women cannot access any care, let alone “medicalised” care. And the drop in the homebirth rate is a “real disappointment”? For whom? No doubt the bakers in Marie Antoinette’s France were disappointed that the starving were not buying lots of cake, too, but that doesn’t mean that their distress was the problem that should have received priority..
Who is this woman? We met Cathy Warwick this past summer when the UK’s leading midwife was caught making up facts. Once again promoting the benefits to midwives women of homebirth, Warwick declared that we should look to the Netherlands, where 30% of women give birth at home and where perinatal mortality is the lowest in Europe. Since the Netherlands has the HIGHEST perinatal mortality rate in Europe that statement was either an expression of profound ignorance or a bald-faced lie. Indeed, the newspaper that conducted the interview was forced to print a retraction of Warwick’s fabricated claim. Cathy Warwick epitomizes that self-serving blatherer that characterizes contemporary British midwifery: the biological essentialist who believes that “natural” birth is more important than safe birth, the anti-rationalist who invokes “quantum theory” to explain why scientific evidence should be ignored in favor of midwives’ opinions, the self-absorbed, self-referential, selfish woman who pretends that the needs of midwives are the same as the needs of women. Cathy Warwick and the Royal College of Midwives should be ashamed of themselves.